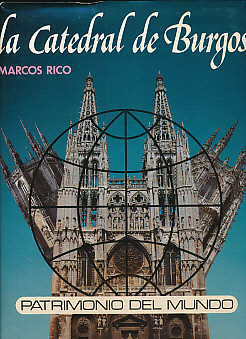 Barter Books : Santamaria, Marcus Rico : La Catedral de Burgos Patrimono del Mundo. Signed copy. 936 illustrations including 794 in colour. 320 x 240 mm (13 x 9 inches) - 496pp. Ultimas Investigaciones, Descripcion General, Tecgnico-Analitica y Artistica, Diez Años de Restauracion- Logros y Hallazgos. Inscribed and signed by author on half title page with tipped in card.